Which Way Is the Front Line from Here? is a new film by Sebastian Junger charting the life of photographer Tim Hetherington. 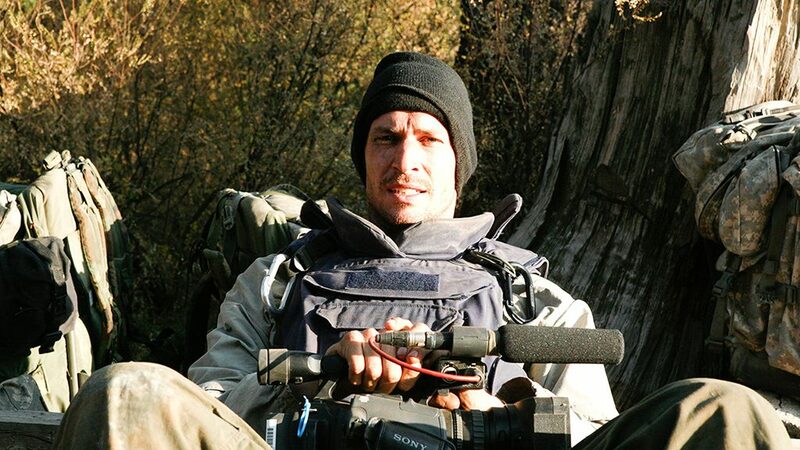 2011, shortly after the release of his documentary RESTREPO – and only six weeks after attending the Oscar ceremony as a nominee – photographer and filmmaker Tim Hetherington was killed by mortar fire in the city of Misrata, Libya, where he”d been covering the civil war. He bled out in the back of a pick-up truck while being raced to the hospital, comforted by a Spanish photojournalist who was holding his hand and trying to keep him awake. Those moments ended a brilliant ten-year career in which Hetherington not only covered such dramatic frontline stories as Liberia and Afghanistan, but also transcended the conventional boundaries of image-making to become one of the most important journalists of his generation. You can find out more about the film here along with extra resources here.